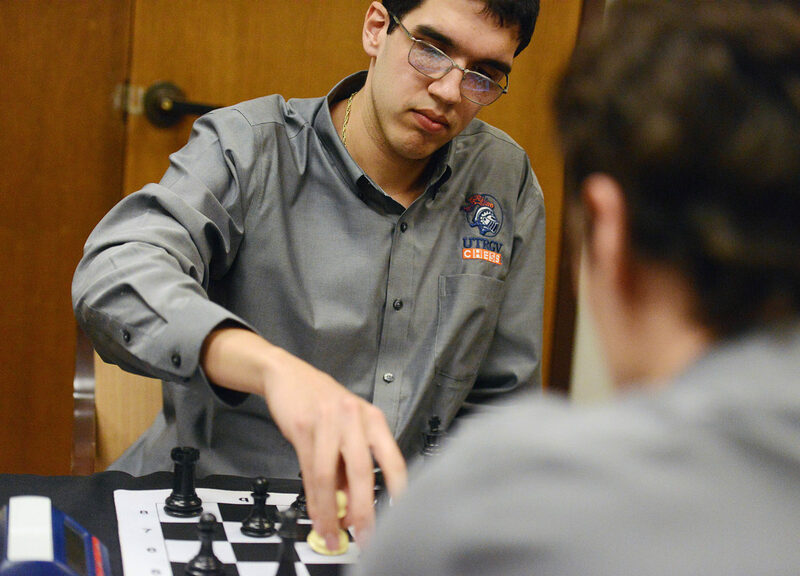 BROWNSVILLE — It took more than quick-thinking, wit and strategy to score the University of Texas Rio Grande Valley chess team the 2019 National Collegiate Rapid Chess Championship on March 16. A little team-building and a lot of faith in what’s quickly becoming a perennial powerhouse in the collegiate chess world made a difference as well. 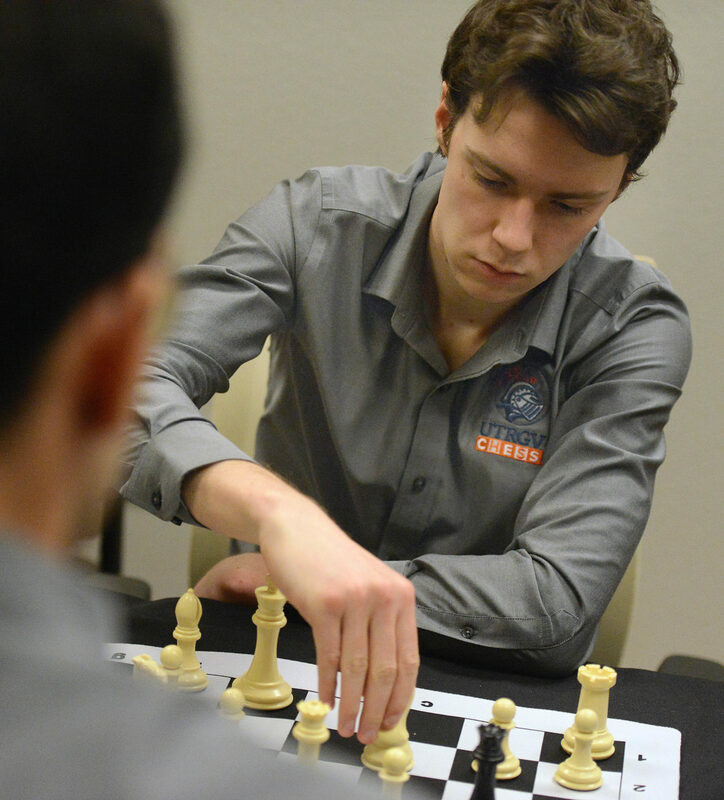 UTRGV’s chess prowess was on full display on March 16, when the team not only ran away with the title, but grandmasters Vladimir Belous and Kamil Dragun also owned the top two honors, individually winning gold and silver, respectively. Overall, the team earned 18.5 points out of 24, placing them over Texas Tech with 17.5 points and Saint Louis University with 16.5 points. UTRGV also finished in second place in blitz chess the following day with international master Guillermo Vazquez finishing third individually in this competition. 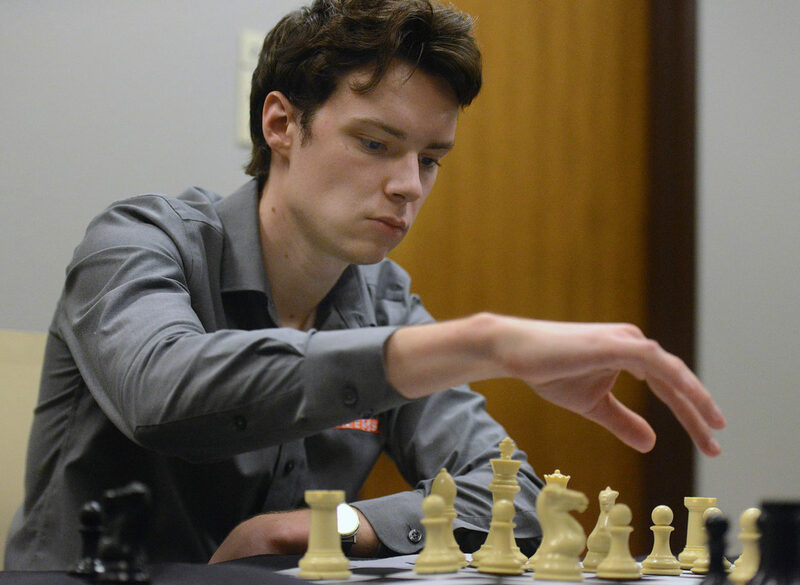 Classical, rapid and blitz are the modes of competition with increasingly heavy time constraints to players, UTRGV chess coach Bartek Macieja said. 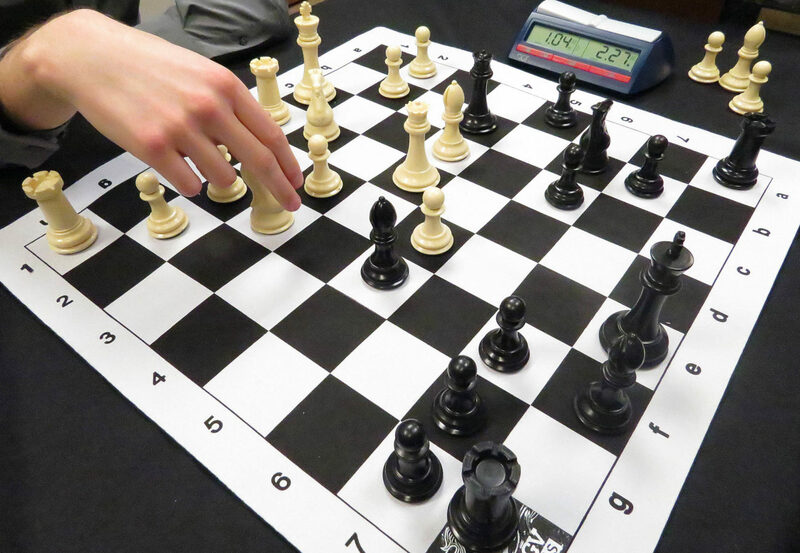 In rapid chess, each student has 15 minutes with 10 seconds added per move. In blitz, even more weight is applied, with three minutes for each player and two seconds added per move. The classical championship allots more time to breathe with 90 minutes for each of the players. Controlling the time is a priority for rapid and blitz, and a player needs to use this as an advantage to win, Dragun said. There are three main stages of a game, with an opening, middle and ending. When he first arrived in 2012, Macieja said the team was in bad shape. However, the team has since made strides, with the program winning first place in the 2018 President’s Cup. A team from Webster University won the previous five consecutive championships. UTRGV was seen as underdogs in these competitions, so this development shows the team’s progress and upward trajectory, Macieja said. The process of team building was a long one, he said. Recruiting was staggered throughout the years for one or two recruits a year to continue to add a constant stream of talent to the team. Having the best players graduate in four years all at once would be problematic and detrimental to the program. Although the team has won many victories, a level-head and a degree of humility are necessary to keep up the momentum, he said. The community and administration have provided them the support necessary for the team to succeed, Macieja said. The team presents a good atmosphere, Dragun said. 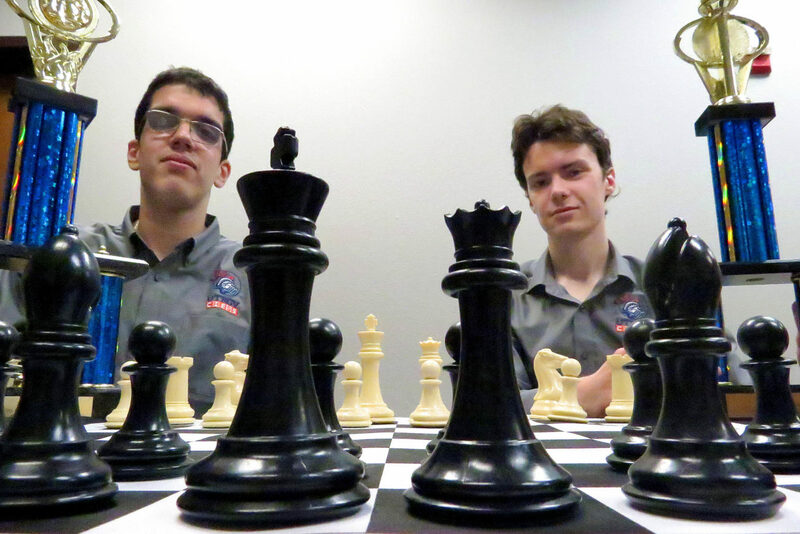 On Friday, Dragun and Vazquez maneuvered pawns, knights and queens to overtake and outsmart each other during a practice match inside the chess office, where team members also hail from South America to Europe. Vazquez has always been interested in mathematics and started to play chess because of how it incorporates a similar skillset, he said. Players can have different types of styles and positioning despite what some may see as appearances of a straightforward game. “From the moment I knew what chess was, I liked it,” Vazquez said. He plays online chess on an almost daily basis and has enjoyed the game for over 10 years. Having the discipline to study, calculate and refrain from making emotionally driven plays are all traits of a strong player, he said. As a student, time constraints inhibit the time he has to practice and play the game. Prior to coming to UTRGV, Vazquez won national awards in mathematics and computer science in Paraguay, his home country, Macieja said. Vazquez said the game is also a way to keep his mind sharp for academia, and the skills applied in chess develop his knowledge in computer science, and vice versa. It has also given him a place to stay with a like-minded group. 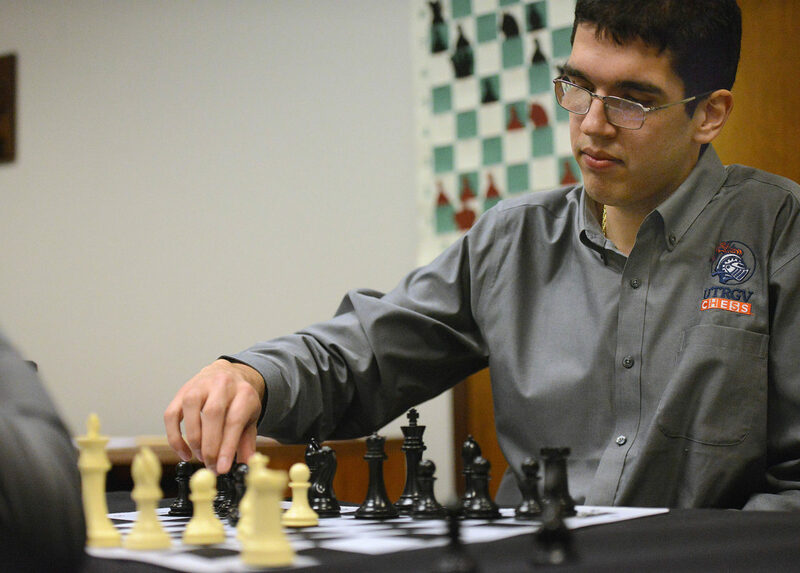 “I would say that’s what chess means to me — just a way to meet people and to practice with those skills,” Vazquez said. The team will defend its seat at the Final Four of college chess, or President’s Cup, in April.